Vendors of today are finding difficulty in readjusting to the new, multifaceted business landscape as well as to the demanding wants and needs of their p2p consumers. And as cloud-based solutions, data aggregation, and claim approval processes continue to develop in sophistication—channel partners will inevitably become more stringent on how your CDM software alleviates their workplace pain points. Use this fun and informative eBook to learn about the 4 top things your channel partners not only want but also expect when using a CDM partner portal platform. 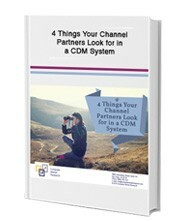 Receive a Free white-paper on “4 Things Your Channel Partners Look for in a CDM System” by filling out the form on the right.